Bridge Hollow is surrounded by shops, restaurants, entertainment, parks, and is within walking distance of Woodhaven Country Club and a less-than-10-minute drive from Downtown Fort Worth. Our apartments are near Bell Helicopter in Woodhaven Fort Worth and are conveniently located near Interstate 30. Bridge Hollow allows for an easy commute to large employers such as Bell Helicopter, Radio Shack, and American Airlines. 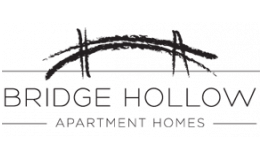 Enjoy all that Fort Worth has to offer and then come home to your new Bridge Hollow apartment home to enjoy a easy going lifestyle.